Welcome to the Leraas.org Web Site. This site is devoted to the descendants of Johannes Olson Leraas (1804-1880) and others from a small and remote farm known as the Leiro Gaard near Bergen, Norway. Since 1988 our Leraas branch (Ole’s son Anton and his wife Clara) has attempted to have a reunion every two years. In 2007, we made a significant effort to reach out to other branches, including searching phonebooks for anyone named "Leraas" and simply calling them up! This effort culminated in a fantastic Extended Family Reunion in Fergus Falls and Barrett, Minnesota. We had a fantastic turnout of relatives from all over the country. This may have been the biggest Leraas gathering since Johannes married Nelly in Norway in 1885! 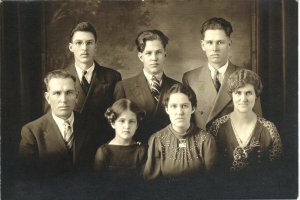 We are trying to get current addresses, phone numbers, e-mail addresses, and other family info for as many Leraas descendants as we can. And we are always on the lookout for information, stories, memories, and pictures of family members. We appreciate everything you can contribute. The family tree keeps expanding. It now contains over 4,200 names! Because the main Interactive Family Tree site (family.mnray.net) is so large, a helpful chart was established specifically for the LERAAS, EIDE, HESJEDAL, LOHSE, LADE, and GOLZ families. Please click on a link or the picture to get an overview and see how you fit in. Because the chart is open to the public, only information about deceased relatives is immediately available. However, family members may easily request an Account and Password to allow full access to the entire Family Tree. In addition, we always strive to make the site easier to navigate. More effort is now being made to accommodate those viewing with Internet Explorer, which is not compliant with most web standards. To have a better (and safer!) viewing experience, download a standards-complaint web browser, Firefox. The biggest news of 2007 was the successful 2007 Leraas Reunion! Many stories, pictures, and experiences were shared by relatives from all over the country. By recently moving to a better hosting service, leraas.org was spun off so it can stand on its own. We have also purchased the leraas.net domain. 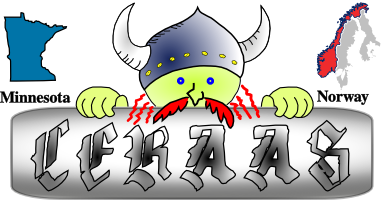 If you are a Leraas who would like a free, permanent "@leraas.org" email address or web space on this domain, all you have to do is ask Eric!